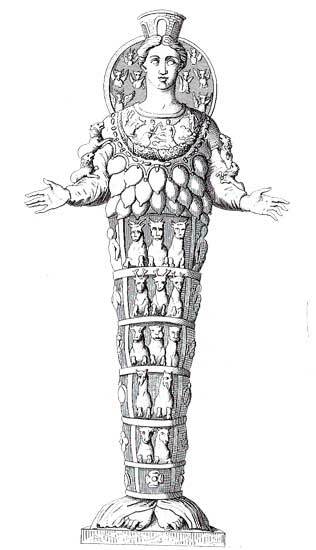 An engraving of a copy of a replica of a sculpture. Apparently museums come by the tradition of reusing other people’s good ideas honestly. *The title is funny if you know that xoana were associated with Daedalus, if you know that Daedalus was the father of Icarus, and if you know that Icarus flew too close to the sun. So, the title really isn’t funny. 11/06/2013 in Collections, Fun, Interpretation. ← Do We Already Know Who Our Visitors Are? I’d like to see a photograph of the engraving of the copy of the replica of the sculpture!